The young adult series is being re-launched and its original fans are up in arms about all the changes. Tali Yahalom on the battle over the iconic series moms’ love and tweens have never heard of. The young adult series is being re-launched and its original fans are up in arms about all the changes. Tali Yahalom on the battle over the iconic series moms love and tweens have never heard of. For a children’s series that’s been out of print for a decade, The Baby-Sitters Club has an enormous, wildly devoted fan base. It just happens to consist of 20- and 30-year-olds. So in December, when Scholastic, the publisher, announced that the author Ann Martin had signed on to re-launch the series—which primarily follow the baby-sitting adventures of seven 13-year-old girls—these diehards, using computers instead of kid-kits, had much to say. Jezebel imagined how The Baby-Sitters Club 2.0 could answer unsolved questions, Flavorwire wondered what each character is doing now (something Martin says she has no interest in writing about), and even the highbrow McSweeney’s compiled a list of titles for The Baby-Sitters Club: The College Years. Don’t forget blogs like What Claudia Wore, a site devoted entirely to musing about the fashion choices of Claudia Kishi, the series’ token artsy girl, that doesn’t need a news hook to wax nostalgic about this inimitable clique. In its prime, The Baby-Sitters Club was a moneymaking machine that saw droves of tweens happily spend their allowance on a new paperback each month. Spin-offs took form in a television show, a movie, an additional series for younger girls, and must-have paraphernalia that had nothing to do with baby-sitting. With the dearth of relatable, realistic, female character-driven Young Adult novels available on bookshelves, Scholastic is hoping to fill a void in kid-lit and mimic the success it enjoyed just 10 years ago. The publisher faces the same balancing act as its competitors did when they brought back Nancy Drew (Simon & Schuster) and Star Wars (Random House). Yes, it must cultivate a new readership, but Scholastic cannot exactly ignore the original readers who transformed what was supposed to be a finite number of character-based stories into a 213-book bestselling series. Based on interviews and conversations, older fans are thrilled with the revival but somewhat disappointed in the decision to revamp and repackage the books. And then there are the covers. The original ones, which featured detailed drawings of the girls, have been replaced with clip art-esque images of telephones and spiral notebooks. There is no trace of the classic block letter logo that served as the series’ signature. For the original readers, these changes are considered sacrilegious. Scholastic is well aware of their now-adult fans. The series sold over 176 million copies during its 14-year run but went out of print in 2000 after fresh ideas grew scarce. Until Scholastic announced its decision to release the first four books of the series, along with a prequel titled The Summer Before, editors, publicists, and pretty much everyone associated with Kristy and the gang had to field calls, letters, and a myriad of requests from grown ups, including Scholastic employees, asking for more. But catering to nostalgia has its limits (as everyone mentioned understands), and there’s a practical need to lure new fans—ones that actually will read the books and, of course, finance all of this. The balancing act is evident on the website that Scholastic created to market this project. Adults, presumably, have no time for a which-baby-sitter-are-you quiz, nor do they need advice to start a baby-sitting agency, but there will be a section that showcases nostalgic memorabilia—including the old covers. Scholastic is banking on mothers encouraging their daughters to partake in the hoopla, so it’ll target mother-daughter book clubs and advertise on www.savvyauntie.com, a site that offers gift recommendations for kids. Scholastic, cognizant of its sexier competitors, like Twilight and Gossip Girl, also tweaked its targeted demographic for the updated series. Whereas the original primarily attracted 12- and 13-year-olds, the publisher expects its new readers to hover around ages eight and nine. Martin and her editors hope the new covers and tween-oriented marketing blitz, coupled with a nudge from their nostalgic parents, will offer a sense of ownership and make the series feel less like a hand-me-down. Kid readers “are at a stage where doing something like baby-sitting is exciting. We grown-ups look at baby-sitting like that’s the most boring job on earth and aren’t we glad we can get out for an evening,” says John Beach, an associate professor of literary education at St. John’s University. On that note, it is fitting that the first time I met Martin, she was at Scholastic’s Soho headquarters to curate a tribute collection that included a board game, calendar, postcards, t-shirts, charm necklaces and a neon pink-colored fanny pack—all stamped with photos of the seven sitters who taught a generation how to start and run a business at the ripe age of 13. These collectibles, some of which are being sold for upward of $100 on eBay, reflect the franchise’s past ubiquity and will provide the décor for the re-launch’s book party. 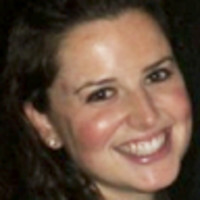 Tali Yahalom has written for New York, the Atlantic, The Financial Times and USA Today.